Home / Publications & News / Important Alert: The new Owners Corporations Regulations 2018 (Vic) come into effect on 2 December 2018. The new Owners Corporations Regulations 2018 (Vic) coming into effect on 2 December 2018 will replace the existing Owners Corporation Regulations 2007 (Vic). The new regulations include some exciting new changes including a new, practical Model Rule regulating the external appearance of private lots that will require lot owners to obtain the written approval of the Owners Corporation before changing the external appearance of their lot. 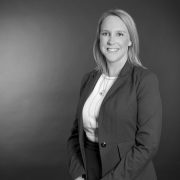 Nicole Wilde and Rachael Hammond from Tisher Liner FC Law’s Owners Corporation team have prepared a brief summary of the key changes for all those who have an interest in the strata industry. A new Model Rule 2.1 which allows a Committee to appoint members to a sub-committee without reference to the Owners Corporation. 1. An owner or occupier of a lot must obtain the written approval of the owners corporation before making any changes to the external appearance of their lot. 2. An owners corporation cannot unreasonably withhold approval, but may give approval subject to reasonable conditions to protect quiet enjoyment of other lot owners, structural integrity or the value of other lots and/or common property. An owner or occupier of a lot must notify the owners corporation when undertaking any renovations or other works that may affect the common property and/or other lot owners’ or occupiers’ enjoyment of the common property. If you require any further information regarding this regulation change, please contact Nicole Wilde, Rachael Hammond or a member of our Owners Corporation Team.